There are several reasons why you should save contacts online, for example, you can access your contacts on any device as long as it can access the online backup, you are sure that your contacts are safe no matter what happens to your device and so many other reasons. Sometimes you might forget or lose your iPhone and require to make a call to a particular contact that was saved in the phonebook. If you save the contacts online, you would easily get the contact by accessing the online backup and make the call. If you are still using your phonebook to save your contacts, you may lose them one day. But we are going to show you ways on how to save contacts online. We all know the numerous benefits of saving your contacts or having an online backup for your iPhone. But very few of us know the different ways on how to save contacts online. Before we take a look at the different ways, let’s look at the situations that may require you to save contacts online. As you can see, you might find yourself in one of the above situations and if you did not save your contacts online, you will be disadvantaged. Here we are going to look at the top ways on how to save contacts online. Step 2: Tap on your Apple ID section. 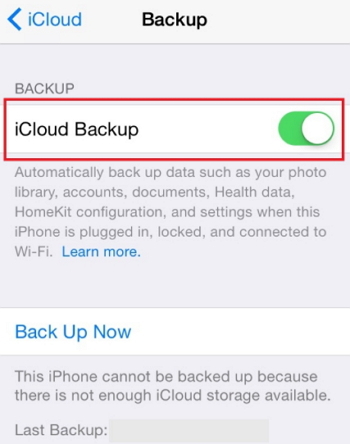 Step 4: Then Select iCloud Backup. Enable it if it is not enabled. Step 5: Click Back Up Now. This will back up all your contacts from your iPhone to the iCloud server. Step 1: Save your contacts to iCloud. Open the Settings app > iCloud and login to your iCloud account, then turn on Contacts sync and then sync all contacts to iCloud. Step 2: On your computer, run the browser app and go to iCloud.com. Log in to iCloud using your Apple ID and then export all contacts from iCloud to vCard. Step 3: Import all the exported contacts in the vCard to Gmail. Then save all the files to your Google Drive or Dropbox. Do you know that there is a better, safer, quicker and above all free way to save contacts online? Yes, the other methods can sometimes be tedious especially if you have a large contact list. This method is via the use of an innovative software program called iMyFone iTransor. What is iMyFone iTransor and How Does It Work? 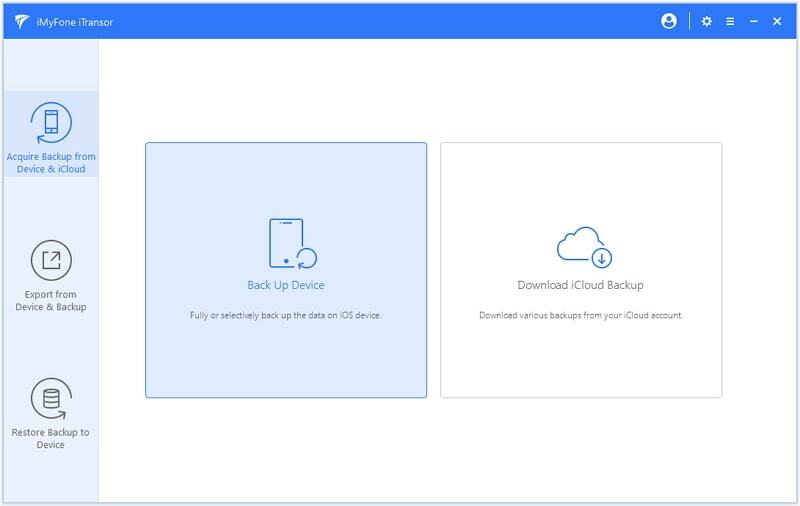 iMyFone iTransor is an iOS data backup and restore tool that lets iDevices users to easily manage their contacts with its backup function. 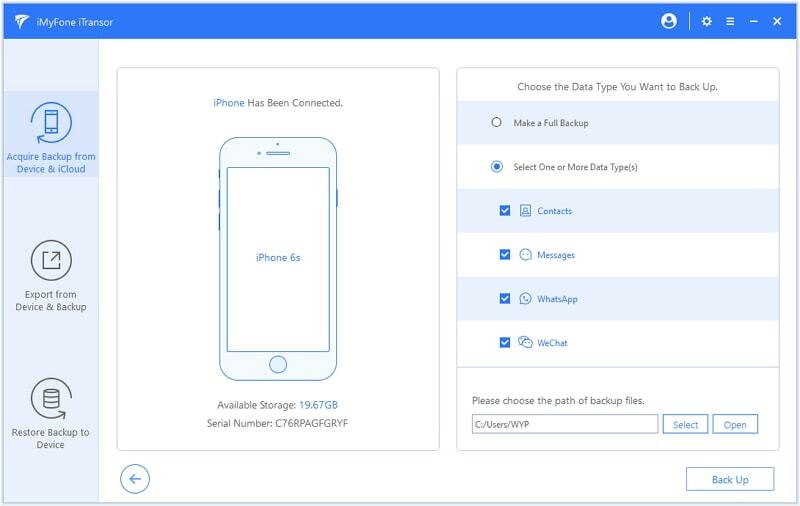 This software allows you to back up and restore only contacts, messages, WhatsApp, WeChat and allows you to view and export over 18 different types of data from your iOS device to iTunes, iCloud and back to the iOS device. This is not an app but a computer-based program that must be downloaded on a computer for you to be able to use it. iMyFone iTransor supports all iOS versions and devices including the latest iOS 12 version and iPhone Xs/Xs Max/Xr/X/8. It also comes with a user-friendly interface and does not require technical knowledge for you to use it. Step 1: Download, install and launch iMyFone iTransor software program on your computer. Once this is done, choose Acquire Backup from Device & iCloud, then click on Backup Device tab. Step 2: A new window will open and you will have to connect your iPhone to the computer to continue with the procedure. It will then detect and recognize your device. Do not disconnect your iPhone during the entire process. You will see two options on the right-hand side of the program’s interface. Choose contacts from Select One or More Data Types option. Step 3: Click on Back Up to commence the process. You will receive a notification once the process is complete. 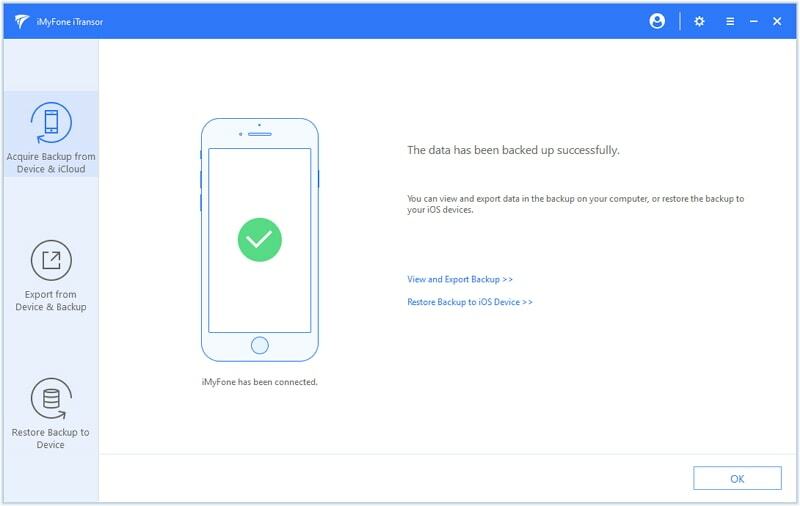 View and export the data from the backup to your computer or restore the backup to your iPhone later on. It saves your contacts across all your iDevices that share the same Apple ID. You can access your contacts and data anywhere with your Apple credentials. It can take a very long time to complete especially if you have large data files and contact list. iCloud does not allowed to save and restore contacts only. It will save and restore all your device data. Someone can access the data if they have your Apple credentials. Poor internet connection can prevent you from accessing your contacts online. Save to other cloud service to make the contacts safer. It fast, reliable and convenient. It does not depend on internet. The backup function is totally free. It does not have limitations like iCloud storage. You can selectively choose the contacts to save and restore. You need have a computer to use this software. If you found this article helpful, feel free to use the above ways to save contacts online. If you need the best alternative to the online option, just try the totally free backup function of iTransor. If you have anything to add on, feel free to leave your comments below.